Years of efforts by Doon, Limerick, Ireland residents to bring back the name of their town, taken away from them in 2003, have paid off. The people have spoken and are triumphant! 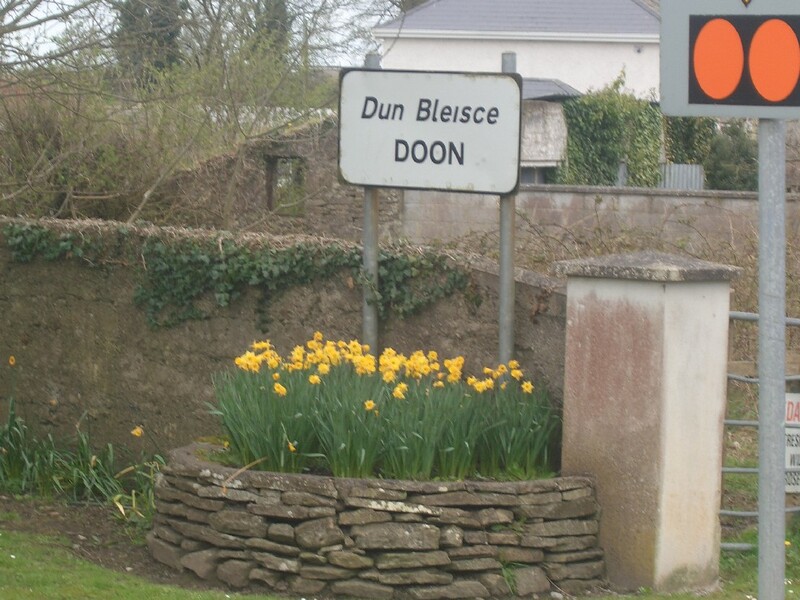 Their town has been called Dun Bleisce since at least 774 AD, which is as far back as anyone can remember. The problem? The town’s name translates to “Fort of the Harlot.” This was not cool with the Irish Placenames Commission. This grand body decided that nice, little towns should not be named after harlots, and they renamed the town An Dun. That seemed safe since it really has no meaning. Or at least not much. 800+ locals signed a petition that was presented to the Great and Illustrious Commission. They decided it wasn’t worth the trouble, and an order was handed down from on high to rename the town Dun Bleisce. When in the west of Ireland, stop by. It truly is a nice town with a juicy name that has withstood history!